is a full service automotive maintenance and repair franchise. Meineke combines massive marketing and unparalleled brand reputation with a proven business system to attract and keep customers. The automotive repair industry is growing. Consumers spend $600 to $720 on vehicle maintenance annually in 2010. Consumers continue to keep their vehicles on the road longer, and these vehicles needs more maintenance. In 2010 the average age of vehicles reached 10.6 years old. Since 1972, Meineke Car Care Centers has successfully diversified its automotive service offerings and is recognized today as a leader in complete car care automotive franchises. From oil changes to brakes, our complete car care model provides consumers with high quality services at affordable prices. 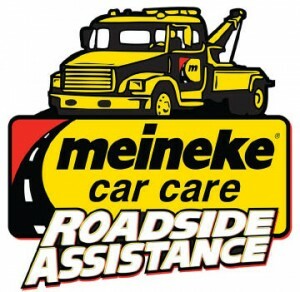 With more than 900 Meineke Car Care Center franchises operating nationally and internationally, Meineke continues to be one of the most recognized and trusted brands in auto repair. In today’s economy, investing in a growing industry is essential. As identified in the forecast model above, the automotive industry has grown significantly since 2000 and is projected to grow through 2016. Part of the reason for this trend is that consumers are holding on to their cars for longer periods of time and miles driven continue to grow, resulting in increased maintenance and repairs. Coinciding with the growing automotive aftermarket, Meineke Car Care Center franchise has also realized positive same stores sales growth since 2009. We believe that our dedication and focus to the brand experience, along with our retail and marketing technology platform, provides our customers and franchisees with a world-class operation.